D-Light Poster Boxes for signs and display. Full fluorescent illumination. 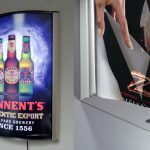 D-Light poster boxes are single sided with a convex face and suitable for a range of poster sizes. Internally lit with flourescent tube lighting each box contains an anti-glare PET poster cover to ensure clarity of message. All D-Light boxes are complete with a 2m cable and plug and key holes to rear for ease of installation. Sizes available are A1, A2, A3 with sizes A0, 20″ x 30″ and 30″ x 40″ made to order. Ideal for Posters, Way Finding Signage, Directional Signage, Menus and Advertising. 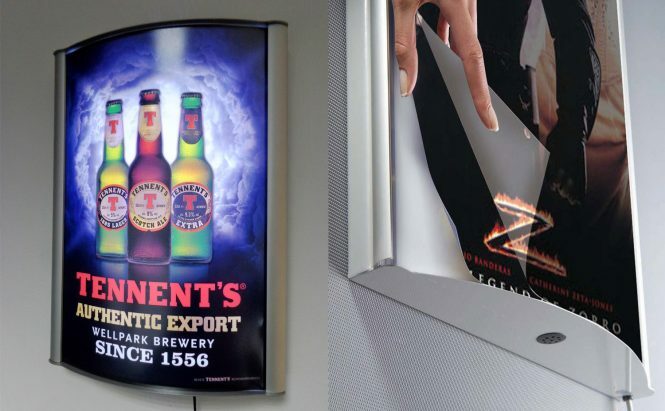 Aluminium snapframe sides for quick and easy poster change, change your poster in seconds!